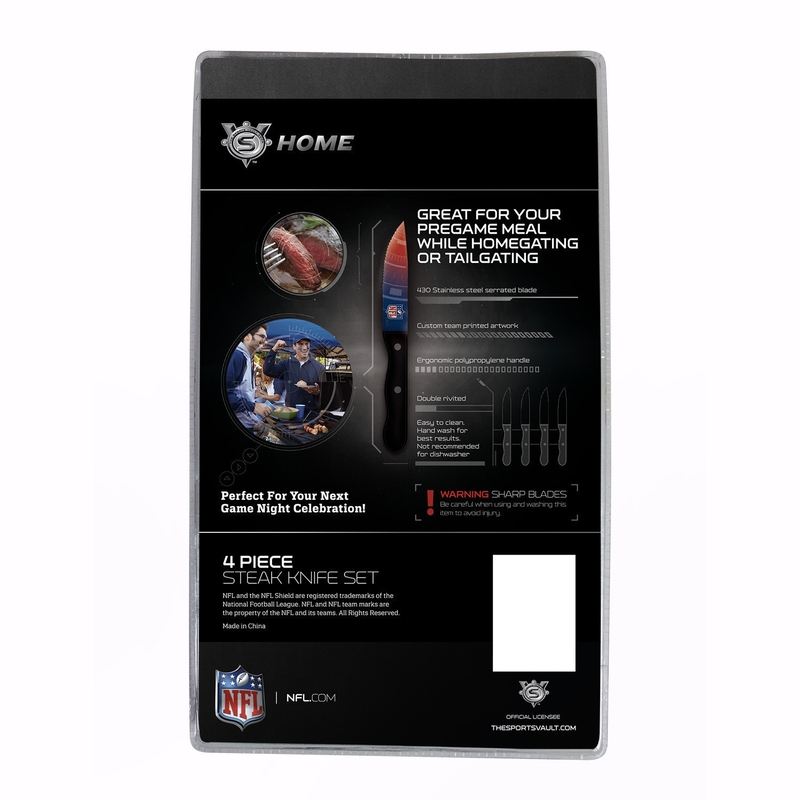 Have your steak and eat it too with the Nfl officially-licensed Detroit Lions Steak Knives Set of 4. Ideal for cookouts, backyard barbecues, and everyday meals, this flatware will ensure you make the winning cut and leave lasting impression on all of your friends. This Detroit Lions Steak Knives are embellished with the Lions logo and custom team colors that extend from the tip of the blade to the hilt of the handle. As an added precaution, the blades are dipped in surecoat to prevent fading and bolster the brilliance of the artwork. The knives are made from stainless steel and include a serrated edge for easy and quick cutting, while the handles are crafted from a soft-touch, non-slip, ergonomic polypropylene material. It also includes two stainless steel rivets to securely hold the blade in place. All knives have passed any required food regulations. 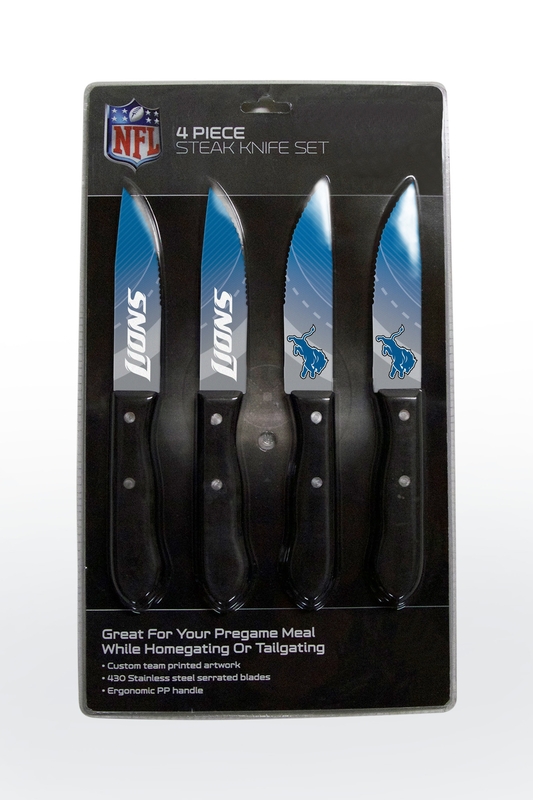 The Detroit Lions Steak Knives Set of 4 are the perfect gift for a friend or personal keepsake item to commemorate the Detroit Lions. 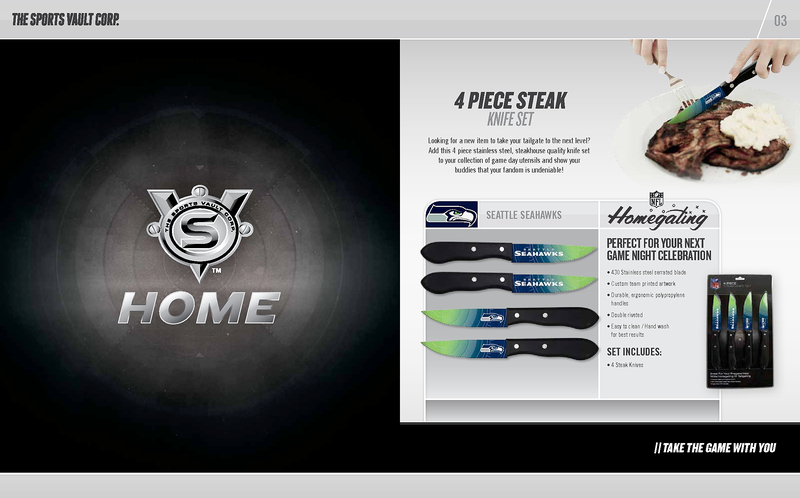 Score big and order your Detroit Lions Steak Knives Set of 4 today.